As with many middle class shoppers over the past few years I have been converted to the benefit of discount supermarkets. The local option for this is Aldi although I should give an honourable mention to our local independent supermarket Harry Tuffins who aren’t positioned as a discount retailer but throw up some great bargains from time to time. 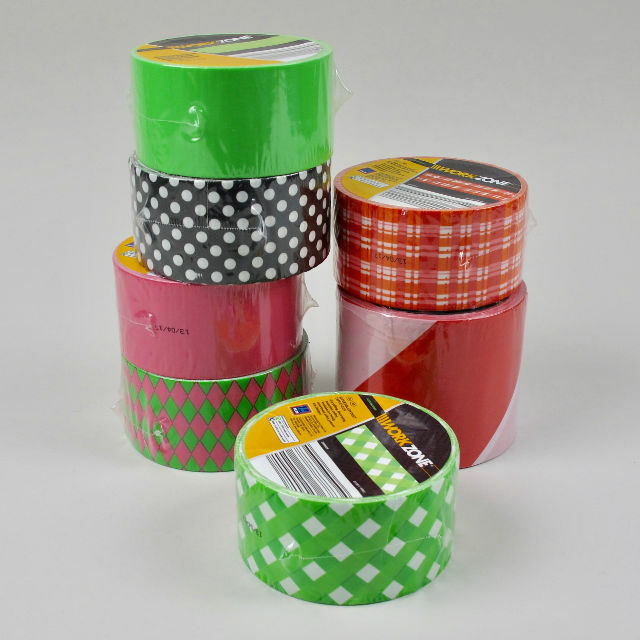 I normally have a very tactical shopping route in Aldi – stick to the edge aisles, avoid the central seasonal offer aisles – but today, on the search for screenwash, I diverted from my path and hit the jackpot with this random product: patterned duct tape. Seriously . 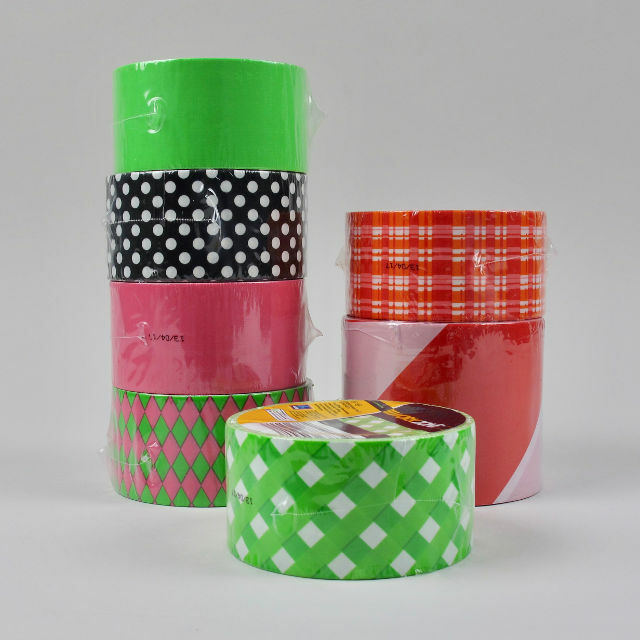 . . patterned duct tape in polka dots, checks and harlequin patterns. Now, I just have to find a practical/ornamental application for it. Look at it though! If Lidl is your local discount supermarket I can wholeheartedly recommend their individual Pain au Chocolat . . . . but can’t comment on their printed duct tape!